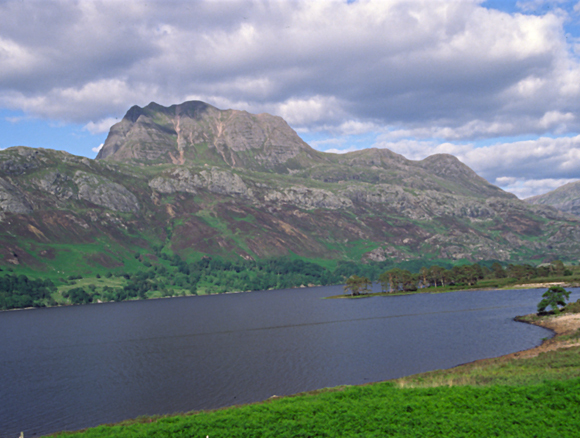 Located at the southern end of Loch Maree, Kinlochewe and Lochrosque extend over some 35,000 acres taking in some of Scotland’s most dramatic scenery. The estate offers an unrivalled mix of sport with fishing for salmon, seatrout and wild brown trout, walked-up grouse shooting and red deer stalking over some famous stalking grounds, including Cabuie and Nest of Fannich. and Fannich as well as a number of smaller hill lochs, and five miles of the River Braan, a tributary of the River Conon. From the middle of August until early September mixed sporting packages are available with walked-up grouse and stalking. From the second week in September onward, the lodge is let with stalking and fishing, initially with 5 stags each week, with more stalking outings per week available in October. 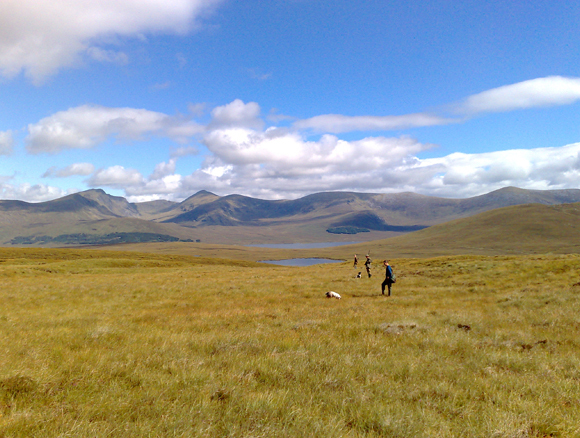 According to the late G. Kenneth Whitehead, Lochrosque, Cabuie and Nest of Fannich have some of the most challenging stalking grounds in Scotland, especially as there are a number of punchbowl-like corries which demand great skill in order to complete a successful stalk. 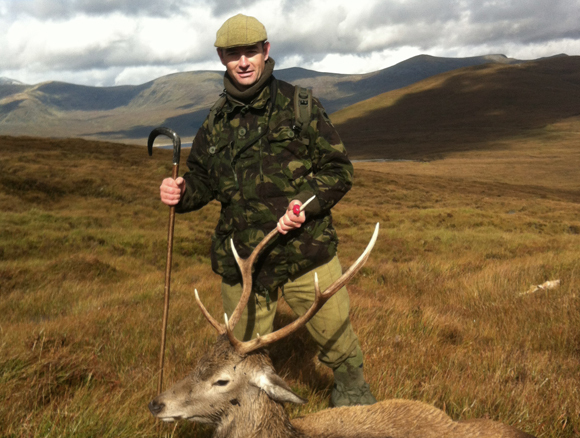 Kinlochewe is an ideal estate to try for a Macnab. 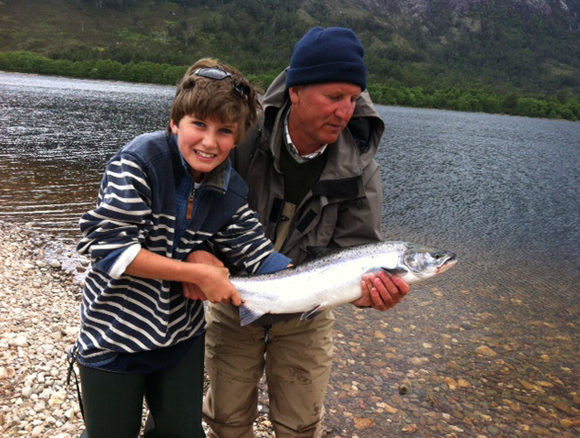 Being only an hour’s drive from Inverness, Kinlochewe and Lochrosque are easily accessible from all parts of the UK and are an ideal location for family holidays throughout the year. 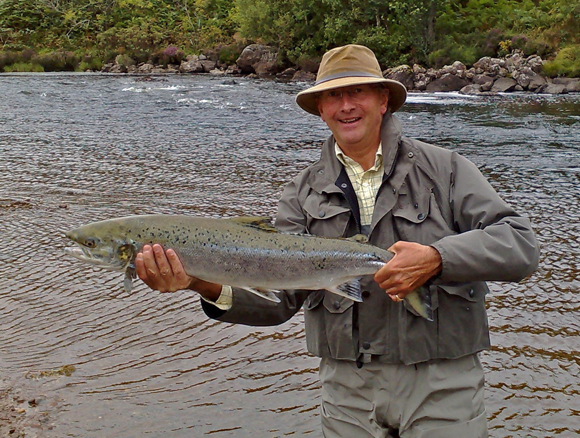 The impressive Kinlochewe Lodge enhances this first rate sporting estate, and provides self-catered accommodation of the highest standard for a maximum of 18 people, including staff. We can help locate the services of a Cook.This is a traditional Highland lodge, which is located close to the rivers with good access to the hill. Well behaved dogs are allowed in the lodge, preferably in the gun room, and there are kennels available. 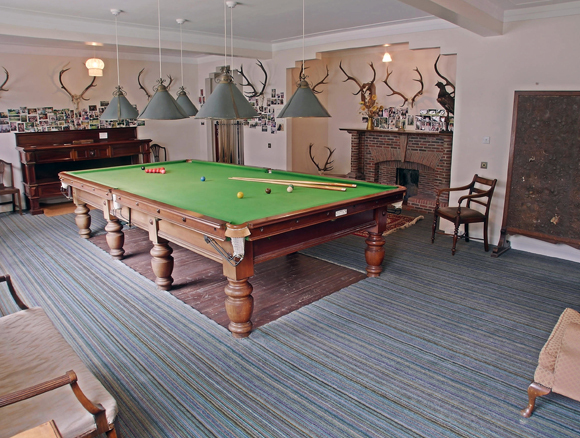 A full sized billiard table is in the lodge together with a TV. Downstairs there is a cloakroom with shower and 2 wash hand basins and 3 separate w.c.’s. First Floor: Master Kingsize, 2 doubles, 1 super king size, 6 twin bedrooms and 1 single bedroom. Second Floor 1 double and 3 twin bedrooms. 9 main bedrooms have wash hand basins, 4 bathrooms with w.c and separate w.c’s. Broadband available. 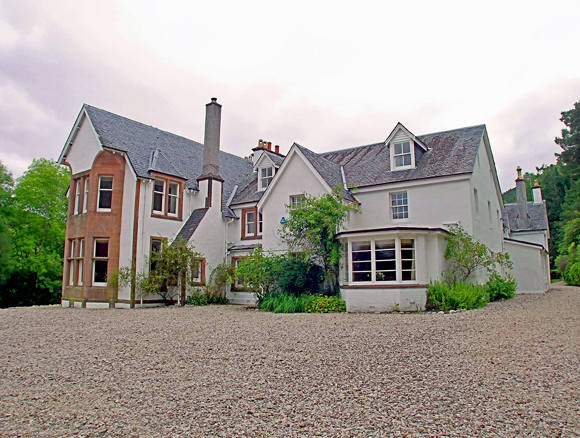 The Lodge is also ideally located for hillwalking or touring the Highlands. There are several Munros in the vicinity, including Ben Fionn, Slioch, Ben Eighe and the Torridon Mountains, and some lovely secluded beaches are nearby. The famous Inverewe Gardens are also in the area, and both Gairloch and Strathpeffer have golf courses. 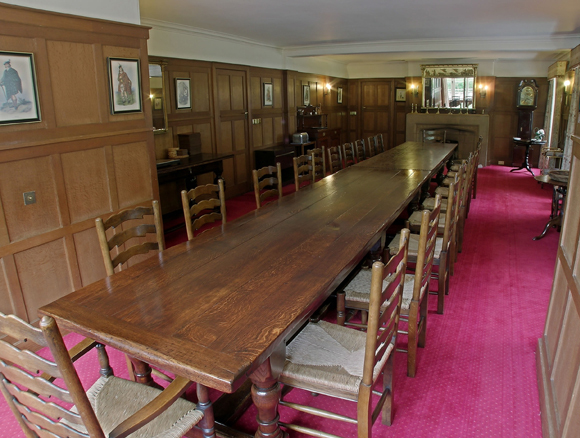 Lodge Cottage, immediately adjacent to the Lodge, is available as additional accommodation for larger parties. There are three twin bedrooms, bathroom, small kitchen and sitting room and central heating throughout.